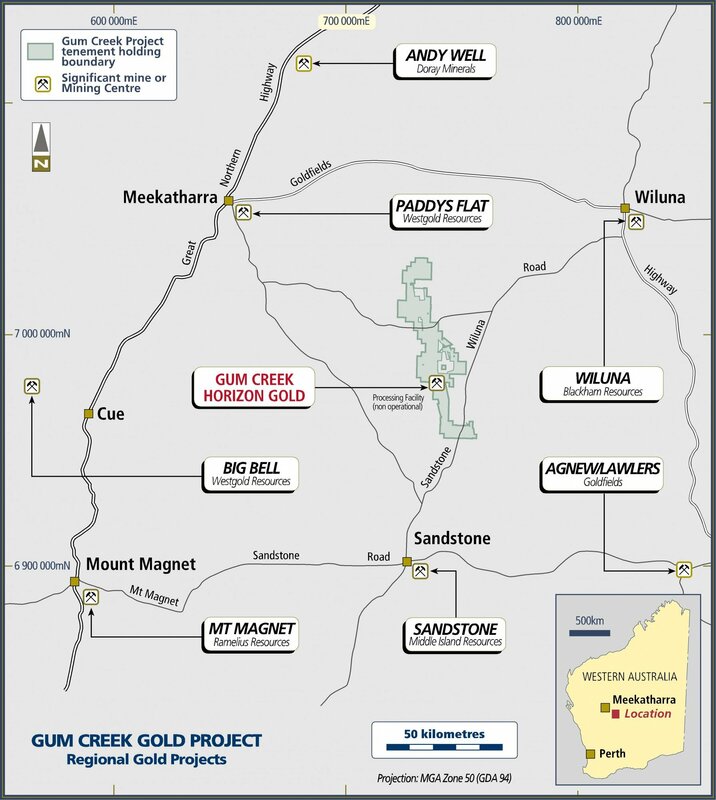 The Gum Creek Gold Project covers approximately 724 square kilometres and hosts JORC 2012 Mineral Resources of 17.3 million tonnes averaging 2.25g/t gold containing 1.25 million ounces of gold. 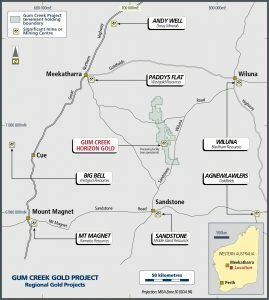 It is located within a well-endowed gold region that hosts multi-million ounce deposits including Big Bell, Wiluna, Mt Magnet, Meekatharra and Agnew/Lawlers. 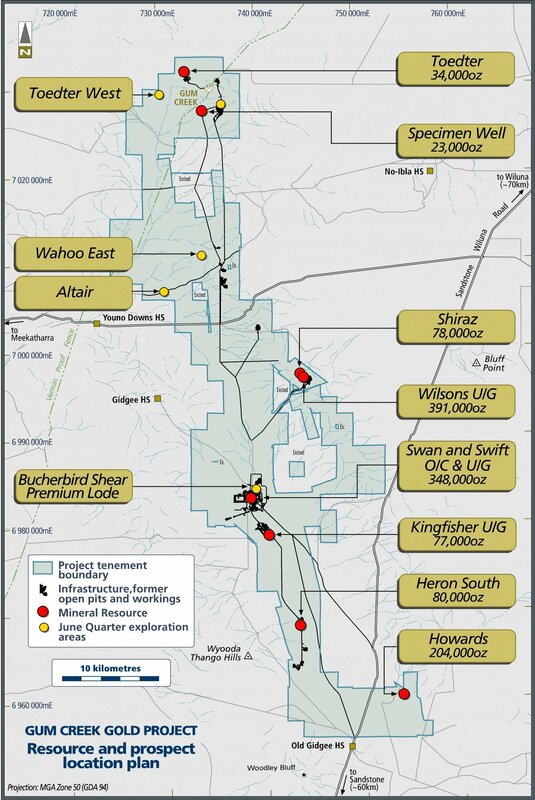 Importantly, Horizon believes there are multiple high priority drill targets and possible resource extension opportunities at the Project which could grow the existing resource inventory. Gum Creek is located 640 kilometres north-east of Perth, and 90 kilometres from the nearest town of Sandstone. Access to Sandstone from Perth is via the Great Northern Highway to Mt Magnet, or alternatively from Kalgoorlie via the Goldfields Highway to Leinster. The Project is accessed by good quality unsealed roads from Sandstone, Meekatharra and Wiluna. The closest airports with scheduled commercial services are Wiluna and Meekatharra, located 129km northwest and 144km northeast respectively from Gum Creek. Due to its previous operational status, the Project benefits from substantial legacy infrastructure remaining on site. Existing infrastructure at the site includes a 110 person camp, operational airstrip, tailings storage facilities, and an extensive road network. A 600,000tpa processing plant is also on site, however due to its age and condition significant capital investment on refurbishment would be required to return the plant to operating condition. The main Resources at Swan-Swift, Howards and Wilsons and the existing plant site, tailings dam and village are held on granted mining leases. The haul road linking Wilsons with the existing plant site is held under a miscellaneous licence. 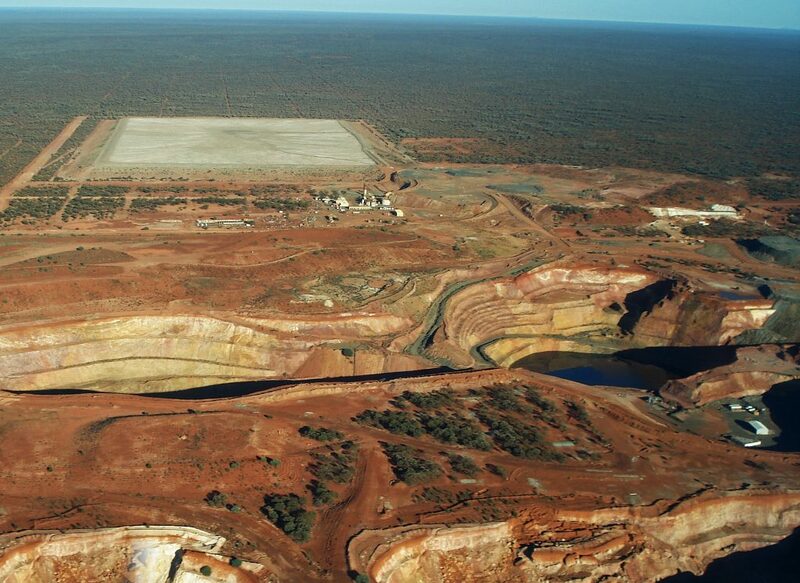 A number of satellite deposits are also covered by granted mining leases. 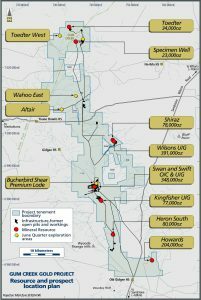 Map showing tenure and JORC 2012 compliant Resources over the Project.